Naturally, the ultimate goal for every player has always been - and always will be - to win a premiership with their club. However, for over 120 years being selected in a representative team was one of the greatest accolades a player could receive during his career. 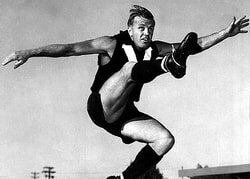 For champions such as Ted Whitten senior, Bob Skilton and Robert Flower whose clubs rarely had a genuine shot at premiership success, representative football took on added significance. From the first intercolonial match in 1879 through to the end of the State of Origin-era in 1999 earning representative selection - especially at a National Carnival - was an honour that many players sought but only a relatively small number attained. When the old Melbourne-based Victorian Football League transformed into the AFL national competition, the fierce rivalries of interstate football were transferred to club level. For example, in 1985 a total of 44,287 South Australian fans squeezed into Football Park for the South Australia versus Victoria clash, united in their desire to see the Croweaters "kick a Vic". Fast forward to 2005 and a total of 44,807 South Australian fans squeezed into the same venue, but this time they were cheering for either the Adelaide Crows or Port Adelaide Power in the "Showdown". The development of a national league has seen the role of representative football in the game's history diluted. It has reached the point where such matches are no longer even mentioned in the annual AFL media guide. 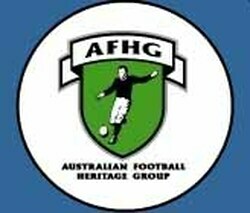 HardBallGet.net aims to document this important part of Australian football's history before it is completely forgotten. Click the links below to discover the representative football history of each state and territory. How to classify these matches? Interstate? Interleague? State of Origin? Exhibition? Official? Unofficial? Part of the difficulty in classifying representative matches in Australian Football is their varied nature. It should be easy yet historians have struggled to develop a clear classification system, resulting in the modern focus on matches that can be labelled State of Origin with everything else prior to 1977 being placed in the too-hard basket. HardBallGet.net aims to change this thinking via a new classification system which encompasses all of these matches. Why the need for these categories? Previously, a number of sources such as the VFL Yearbook and The Complete Book of SANFL Records have only listed interstate matches. This provides a relatively neat picture but it also omits the large number of non-interstate contests played by the representative teams of these leagues. In the VFL's case, this policy removes no-less than 70 representative matches from the historical record, plus 12 unofficial practice or exhibition matches. For the SANFL, at least 25 representative matches against first-class opponents such as Carlton, Collingwood, East Fremantle, Essendon and South Fremantle are not officially recognised in print or online. In many cases, the players selected for the representative and interstate matches in any given year were the same - yet only the team that played another state receives recognition, whilst the team that played a club or league vanishes from the records. For example, in 1932 a full-strength VFL team played the VFA on June 6 at Princes Park. That same line-up (notwithstanding five changes) took to the MCG a few days later on June 11 against South Australia. The June 11 contest appears in the official records of interstate matches, whereas the June 6 match was representative rather than interstate so it has been consigned to history. Important matches, captaincy honours and memorable goalkicking feats have all disappeared because of this narrow focus on Interstate/State of Origin football. HardBallGet.net aims to widen the focus to the broader - and technically correct - term of Representative football. The wide variety of names applied to some representative teams also creates confusion for anyone trying to compile a list of these matches. Perhaps the best example is the representative team of the NSWAFL (or AFL Sydney as the competition is currently known). - Sydney (not the Sydney club in existence at the time). Adding to the confusion, various Sydney newspapers would use different names for the same representative team in their match reports. For example, the Sydney Morning Herald report might refer to the team as Combined Sydney while a report on the same match in the Daily Telegraph would refer to the team as New South Wales. Thus, we have a situation where some official sources have New South Wales playing Melbourne in 1923, while other sources list the same match as Combined Sydney vs Melbourne. Some sources even have the same game listed twice using both names! The solution? If the NSWAFL representative team played a top-level league from another state (VFL, SANFL, WAFL, etc) or a club from one of those leagues (Carlton, Port Adelaide, East Fremantle, etc), the team is labelled: New South Wales. If the NSWAFL representative team played a lower-level league (Broken Hill FL, Riverina FL, Victorian Amateur FA, etc) or a club from lower-level leagues (North Broken Hill, etc), the team is labelled: NSWAFL. State League matches (1988-): Interstate or Representative? Top-level interstate matches with teams comprised of a state or territory's best players, regardless of where they played in Australia at that time. Second-tier representative matches with teams comprised of a league's best players, regardless of where they were originally from. The first example occurred in May 1988 when Western Australia fielded two teams on the same day at Subiaco Oval. The State of Origin team, featuring the best WA-born players now based all over the country, played the main game against Victoria; and the WAFL team, featuring the best players in the WA League, played the curtain-raiser against the VFA. 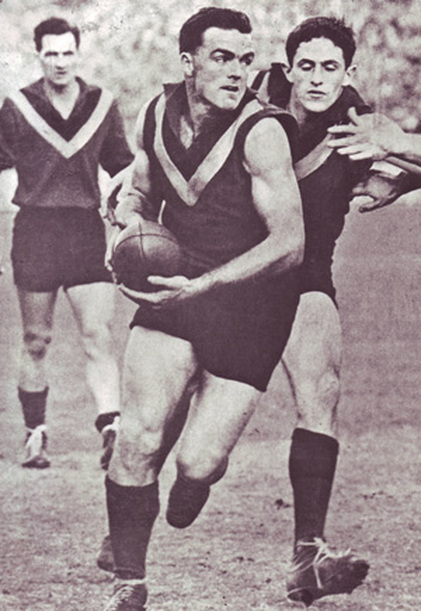 Both WA teams that day wore the same jumper design and carried the title of Western Australia but only the State of Origin team was an interstate side. Since that day the divide has continued to grow and with State of Origin football ending in 1999 in favour of AFL football, State League matches have become the focus of representative football. While the media departments of the leagues involved like to promote these post-1999 matches as interstate contests, the reality is they are State League representative contests and should be categorised as such. So, if the match is SANFL versus WAFL, that is how it appears on this site - not South Australia versus Western Australia. A look at each state's match tables in the following pages will make this change more evident. Click on the links below to visit the State or Territory of interest and view a list of representative matches played, captains, coaches, medallists, and much more.